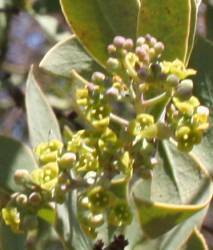 The evergreen, winter-flowering Osyris lanceolata is a blue-green hardy shrub or small tree. Its fleshy, yellowish green fruits become bright red to purple-black when ripening. They are very decorative, and will attract birds into your garden. Osyris lanceolata is a large, multi-stemmed, evergreen hardy shrub or small tree, 2-6 m high. 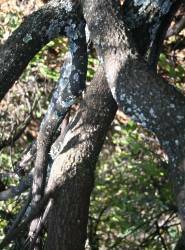 It has a smooth, dark brown to blackish bark, with young branches blue-greenish in colour. The leaves are alternate, about 13-50 mm long, sharp-pointed, blue-green, often with a waxy bloom, smooth, thick and leathery. The flowers are small, yellowish green, and produced in axillary clusters on long slender flowering stalks. Flowering time is September-February. 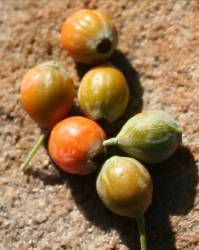 The fruits are fleshy, small, about 15 x 10 mm, becoming yellow and ripening bright red to purplish black. They are crowned with the persistent calyx. Fruiting time is May-September. According to Raimondo et al. (2009), Osyris lanceolata was of least concern (LC), when it was evaluated against the five IUCN criteria, and does not qualify for the categories Critically Endangered, Endangered, Vulnerable or Near Threatened. Osyris lanceolata occurs naturally on rocky outcrops and mountain slopes in bushveld, wooded grassland, woodland and on the margins of forests, from the Eastern Cape northwards through the eastern half of South Africa to central Africa. 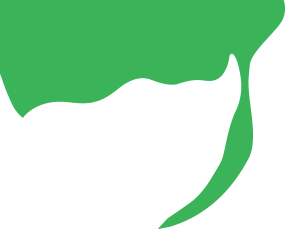 The generic name is from the Greek word ozos; meaning branch, referring to the branching habit of the plant. The specific name lanceolata refers to the lance-shaped leaves. Osyris lanceolata is similar to a related coastal species, Colpoon compressum, which can be clearly distinguished by its opposite leaves and terminal flower heads. The rock tannin-bush is the larval food plant for the dotted border butterfly, Mylothris chloris agathina, and is utilised by many beetles, but no serious damage has ever been reported. It is commonly said to be a partial root parasite, growing on the roots of other plants and utilising the root system of these hosts, but it produces its own chlorophyll. 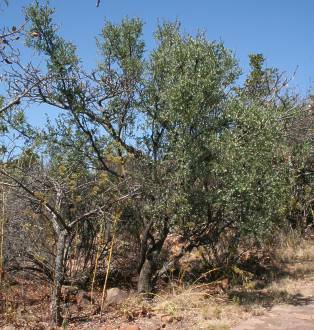 This shrub is usually intimately associated with shrubs of woody species, especially species such as Grewia flavescens, Burkea africana and Combretum molle. This Osyris has a hard and durable wood which is used for timber, firewood, and utensils (pestles). The bark was used by early inhabitants of the Cape for tanning leather, while the root produces a strong red dye. The root fibres are mostly used in basketry. Roots and bark are used for tea and as a tonic in soup. Ripe fruits are eaten raw, with the seed discarded, but only as an emergency food for herdsmen. Traditionally various Kenyan communities used Osyris lanceolata to preserve milk in gourds for long periods. 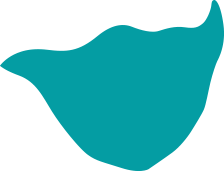 The root decoction is used to treat diarrhoea in Kenya. A decoction of the bark and heartwood is used to treat some sexually transmitted diseases and anaemia in Tanzania. Extracts from the plant are said to cure certain diseases, including Hepatitis B. Roots and wood are scented and used to make cosmetics and perfume. 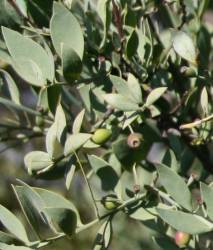 Osyris lanceolata grows from seeds in the natural veld. In the garden, seeds must be sown fresh to the ground. No pretreatment is necessary, but nicking the base of the seed improves germination. Seed germination can reach 60% after 6 weeks. Plants prefer well drained clays or deep loams in a shade area, especially when still in early growth stages. They grow very slowly, and are frost- and drought-tolerant. Boon, R. 2010. Pooley's Trees of eastern South Africa: A complete guide, edn 2. Flora & Fauna Publication Trust, Durban. Mbuya, L.P., Msanga, H.P., Ruffo, C.K., Birnie, A. & Tengnäs, B.. 1994. Useful trees and shrubs for Tanzania. Regional Soil Conservation Unit, Swedish International DevelopmentAuthority, Nairobi, Kenya. Pooley, E. 1994. The complete field guide to trees of Natal, Zululand and Transkei. Natal Flora Publications Trust, Durban. Van Wyk, Braam [A.E.] & Van Wyk, P. 1997. 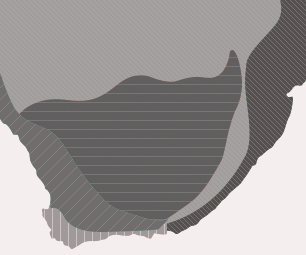 Field guide to trees of southern Africa. Struik, Cape Town.